Long ago, there lived a Brahmin by name Ajamila, who followed the path of virtue,leading the life of a householder. He went to the forest at the command of his father.There he met a woman of immodest appearance and undesirable character, in a drunken state. Though by nature a man of self control his mind was attracted to her. He gave up all his duties and revelling in her company led a sinful life. As he became old, he became very much attached to his son who bore Thy name – Naaraayanaby turns he was eighty-eight years old and was now on his deathbed. The messengers of Yama, , the god of death ,appeared with fearful countenances with ropes inhand . They were wresting the soul from his heart when Ajamilain a quavering voice called for his youngest son who was named Narayana. “O! Narayana! Narayana!” Then a miracle happened! Abhirami! You dance gracefully with Nataraja similar to the dancing of choice epithets with their meanings and you are effervescent-tender creeper. The fortune of being kings, divine righteous path, the kingdom of Lord Shiva and all these will be bestowed on those devotees who fix in their minds your fresh-flower-feet night and day. Shri Thyagabrahmam "On whose art no human hand can improve"
Saint Shri Thyagaraja's Samadhi, Thiruvaiyaru, TN. The life and work of Thyagaraja, the bard of Thiruvayyaru, is a miracle of miracles. For no musician, with exception of Purandaradasa, revolutionized and gave direction to Indian music as he did. 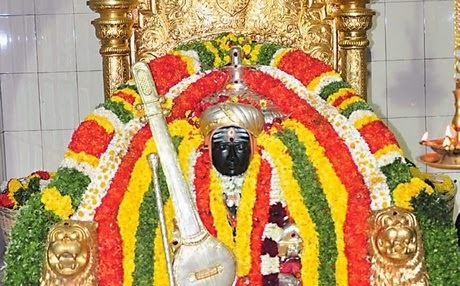 So creative a musician and saint was he that he has come to be known as Sri Thyaga Brahmam, which is a reference not only to his creativity but carries with it a part of his father's name, Ramabrahmam. The bulwark of a great culture, the Vijayanagara Empire, with all its glory, fell at the end of the 16th century. The invasion from the North brought in its wake new, though not always commendable, trends in living. Quite a few Hindu families had to flee to Southern areas which were still peaceful. Many found shelter under the benign rule of the Nayakas and the Maratha kings of Tamilnadu. அகில உலகையும் வசீகரிக்க Attracting all the world. Gaining vast influence over others and fascination of those around. thudaiththanai,- sundhari - nin arul edhenru solluvadhe. Grand beauty Abhirami! You have severed my birth, death cycles. You have also placed that strong affection in my heart. You have ordained me to bow down my head to your Lotus- feet. You have cleansed my mind of all impure thoughts. I can't describe with words your grace. Oh Lord! In the middle of the earth is the region called Ilaavrata. This is inhabited exclusively by women with Gauri (Parvati) as their chief. Lord Siva, Who is present there, is worshipping Thee, with sacred mantras and hymns of praise. I take refuge in Thee, who are the Supreme Lord of all. 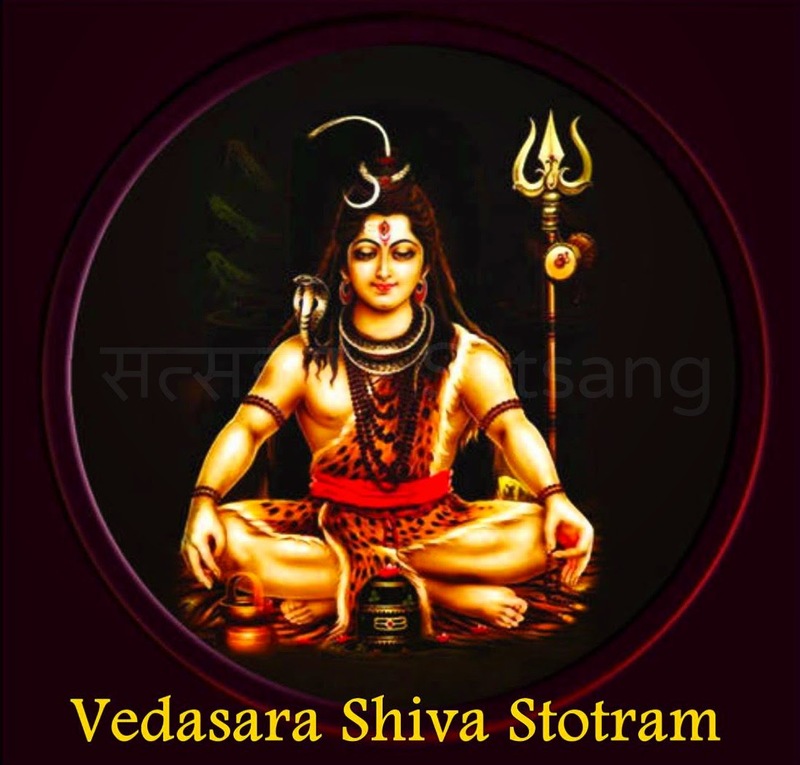 Vedasara Shiva Stotram or Veda Sara Shiva Sthavam is the Sanskrit hymns of Lord Shiva which contains the essence of the Vedas. 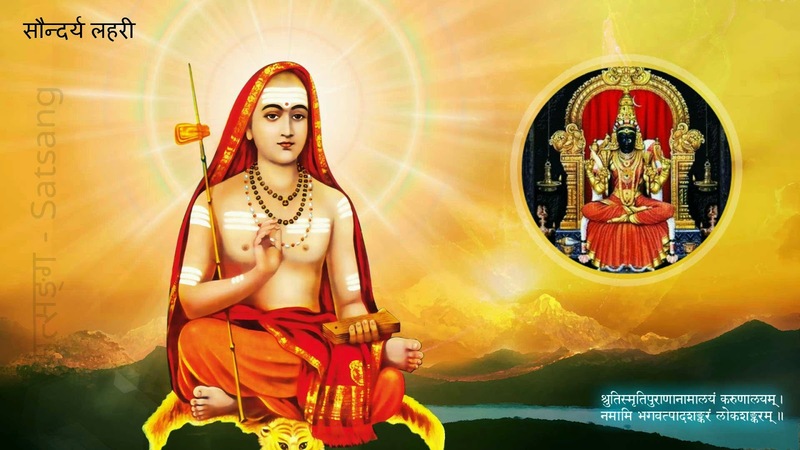 Veda Sara Shivastavam was composed by Adi Shankaracharya and the stotra describes Lord Shiva as the formful God and formless reality. naath thangu punmozhi eriyavaaru; nagaiyudaiththe. Abhirami! Your long locks of hair wears the fragrant Kadamba flower. You are the holy-mother of the Trimoorthies Brahma, Shiva, and Vishnu. Unto your Lotus feet, I offer the garland "Abhirami Anthathi" composed out of good epithets. I just laugh in surprise that my "dei-opus" well suits your Lotus-feet. Agnidhra, Priyavrata’s son was now ruler of the entireJambudvipa. He was young, energetic and well skilled in the artsof war and peace. After some years, desiring an heir, he retiredto the forest and prayed to Sri Hari. Aghnidhra had nine sons, Nabhi,Kimpurusha, Harivarsha, Ilavita, Ramyaka, Hiranmaya, Kuru,Bhadrasura, and Ketumala. They all had great beauty of formand divine qualities like their mother, Purvajithi. ஸகல கார்ய ஸித்தி Winning in every field. All prosperity, granting of cherished purposes and solution to intricate problems. Bliss is the source of all created beings. Bliss here and beyond is one object universally desired by all creatures. The pleasures experienced by the physical senses of Man are transient and mingled with suffering. Unalloyed and ever-lasting bliss could be experienced only when man gets release from the cycle of births and deaths. This release could be obtained only through a clear and comprehensive knowledge of God, soul and matter. Such knowledge is beyond the view of human physical senses and could be had only from omniscient Veda, the repository of the transcendental wisdom revealed to the pure saintly souls who meditated deep and long to discover the Supreme Truth. The knowledge of the Atman and Brahman could be obtained only study under a teacher, enquiry and cogitation, and intensive meditation on the self as not different from Brahman as elucidated in the scriptures. Meditation on an attributeless all-pervasive Brahman is possible for highly evolved souls who have reached an advanced stage of spiritual progress, through self-control, devotion and divine grace. For the benefit of the less advanced spiritual seekers, the benign Veda has also presented the Brahman with attributes or qualities with a name and form for easy mental comprehension and contemplation. 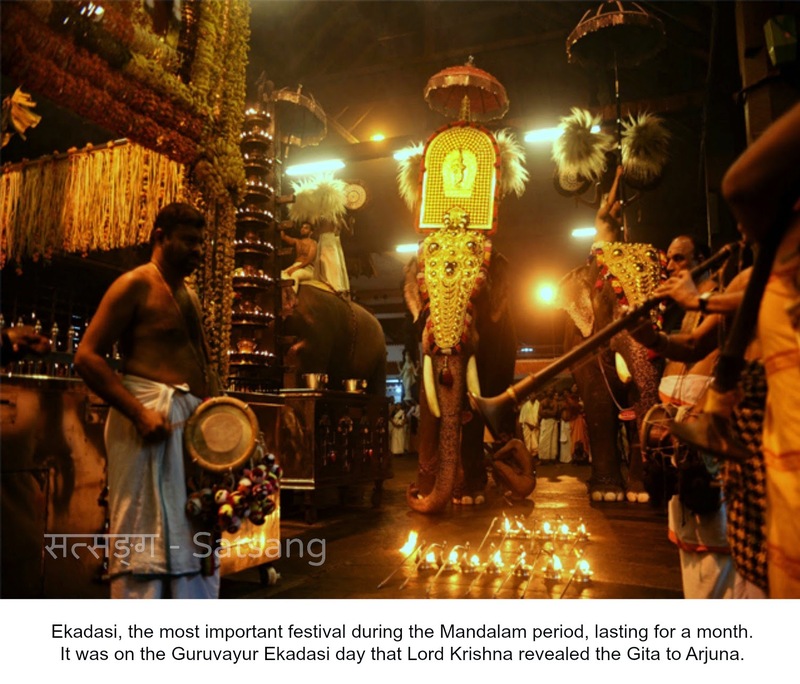 Guruvayur Ekadasi is also observed as the Prathishta Dinam (installation day) of the temple. Though the temple is known as Sri Krishna temple, the idol made of Pathalanjana Sila, installed at the Sreekovil (sanctum sanctorum), is of Lord Mahavishnu. Guruvayur became divine on account of the "tapas" performed by Lord Siva for years under the waters and later by the Prechethas (the ten sons of Pracheenabarhis and Suvarna are together called Prechethas) in the Rudratheertham - the sacred tank on the northern side of the present temple - where Lord Guruvayurappan has His Arattu (holy bath on the last day of Annual Utsavam). Prechethas (the ten sons of Pracheenabarhis and Suvarna) came to this place to do tapas to attain "prajapathithwam" (king of all kings) from Lord Mahavishnu. Sensing the motive of Prechethas, Lord Siva emerged out of the Rudratheertham and revealed to them the "Rudrageetham", a hymn in praise of Mahavishnu. Siva suggested them to chant it with all their heart to get their wishes fulfilled. The Princes won the favour of Mahavishnu after rigorous tapas for 10,000 years under the waters of Rudratheertham chanting Rudrageetham.